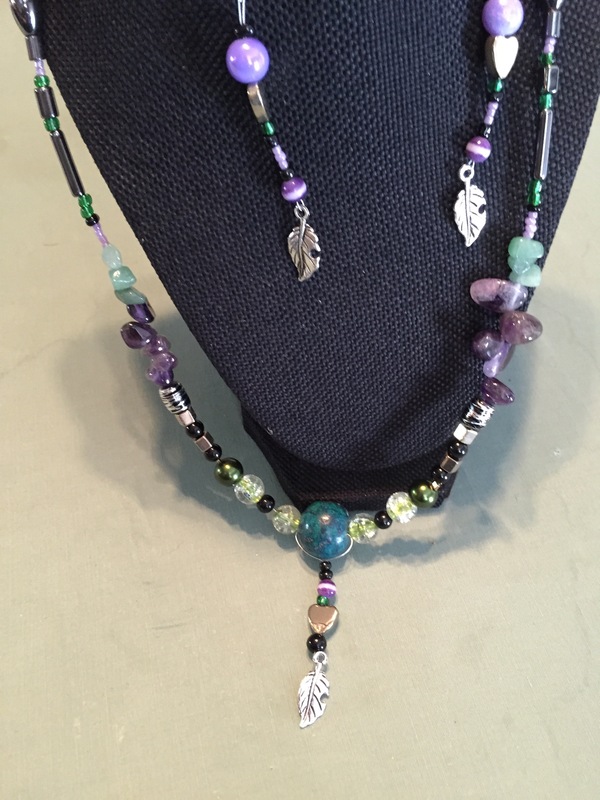 Did you used to make bead art and have a stash of supplies that have laid dormant for too long? Have you long considered getting rid of art supplies but can’t bring yourself to just throw them away… I have another option for you. Do you need to declutter an area of your house and art supplies are something in the way? I’d like to invite you to send your beads, baubles, and even broken jewelry, and art supplies of all other mediums so I can upcycle/recycle your stuff? I’m not doing ANY work with plastic. 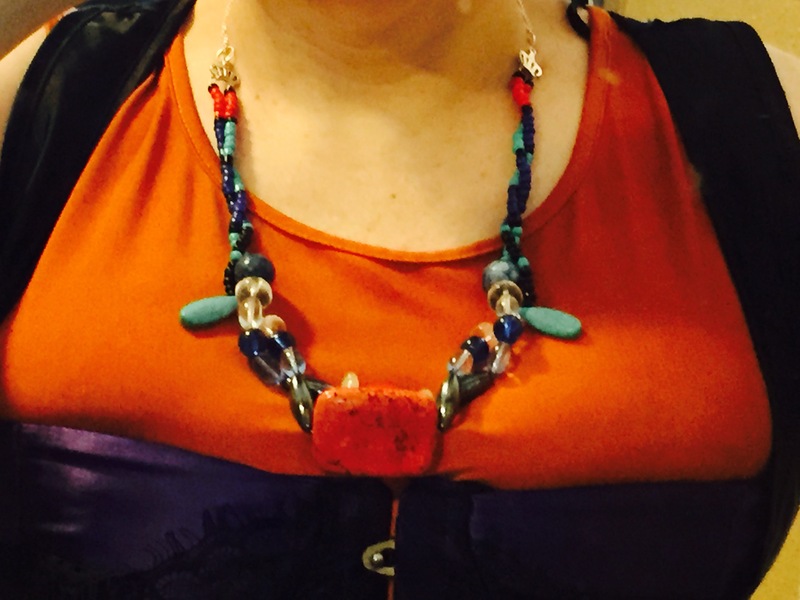 Stone, Metal, and glass beads only. 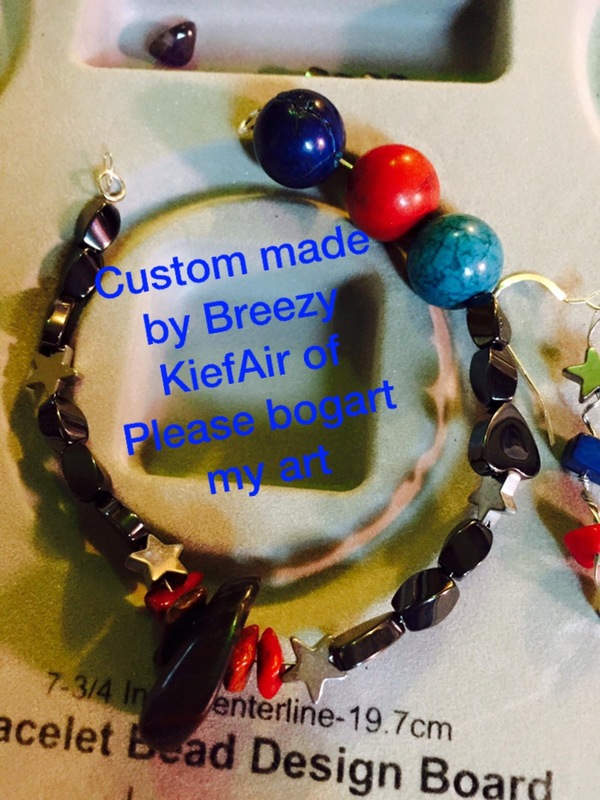 Please bogart my art is proud to begin a period of jewelry creation to give you all a bit more visual candy. Please be patient with me as I set all this up. Remember it’s just me doing everything, and I’m not a well woman. Everything is in its infancy, but I invite you to like Please Bogart My Bead Art. As to any pain I may experience crafting and a few words on the hopes, fears, and materials. Pain is just really making the day difficult. There are so many things I want to do. Beads to sort, pieces of jewelry scattered about like the contents of my heart exploded out onto the bed… Each stone a memory, each glass bead a moment of transformation and atmosphere captured until heat releases it and changes it once more, noble metals waiting for the memories and transformations to be strung together like sun, planets, asteroids and stars strung upon the gravity of the universe. That’s what all my raw materials and we all are born of, stardust. Meanwhile, I must be satisfied with what progress has been made. Belly is full of cream of wheat, about to knock myself out of the universe where all is seen in shades of pain. I seek a black hole to hide in and be transformed within. Maybe someday I’ll emerge into a universe where things are seen in shades of love, shades of pleasure, shades of color and sound, a universe where life is seen in shades of life rather than moment upon moment of pain strung together into a chain that locks body, mind, and spirit down deep in the transformative darkness. I love my patrons. I’ll love making custom jewelry for my friends. I’ll ship out once a month (just after the full moon) so as to properly charge materials. Materials have been spiritually cleansed before they were sorted for use. I am willing to do rush orders, but it’s easier on my rental car body…. Another reason to want to ship them all once a month. I love my patrons. I’ll love making custom jewelry for my friends. I’ll ship out once a month (just after the full moon) so as to properly charge materials. Materials have been spiritually cleansed at the new moon before they were sorted for use, and will be charged with the full before shipping. Shipping at the right moon phase is important to me and the spirituality of the jewelry. I am willing to do rush orders, but it’s easier on my rental car body to ship only once a month… Yet Another reason to want to ship them all once a month. Curious about my mailing/moon charging schedule for the jewelry. Here is a full moon calendar. I will make every effort to ship within the 3rd business day after any given full moon. Until the next new moon both types of pot beads will be unavailable to allow for proper cleansing and charging. I’ve segregated anything that hasn’t had a chance to have a new moon cleansing. Anything I can’t wait on will be prepped with blessing salts before use. At each new moon I’ll be cleansing raw materials with the lack of light of the new moon, the moon of beginning and ending.